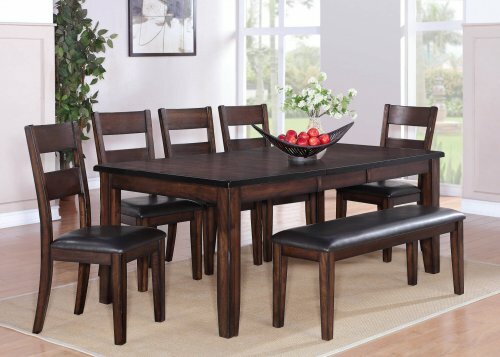 Bring a relaxed and casual ambiance to your dining space with the Maldives 6 Piece Dining Set. 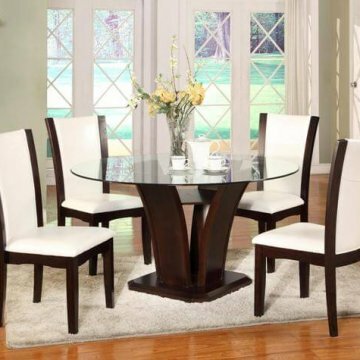 Simply designed, it features one dining table, five side chairs, and one bench. 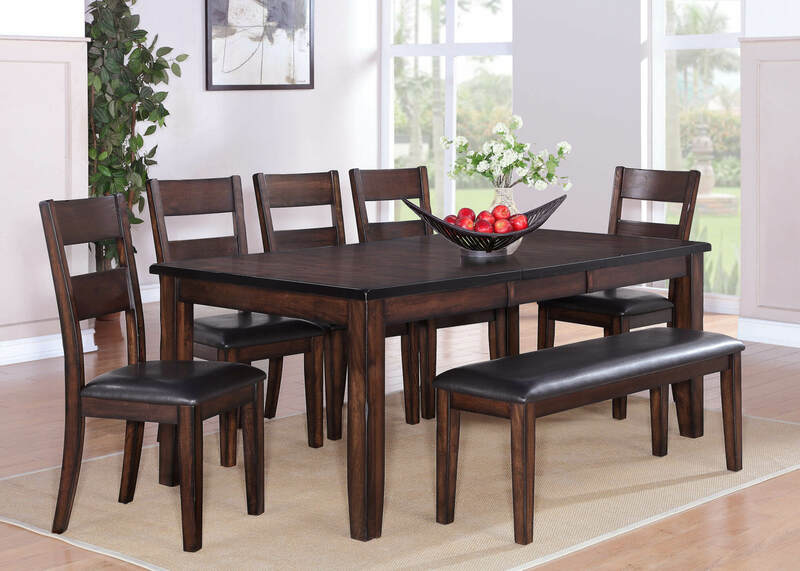 The table has a rectangular table top shape with one 18″ leaf, allowing you to accommodate large gatherings. Woodwork on each piece is crafted with a warm brown finish that emanates rich tones. 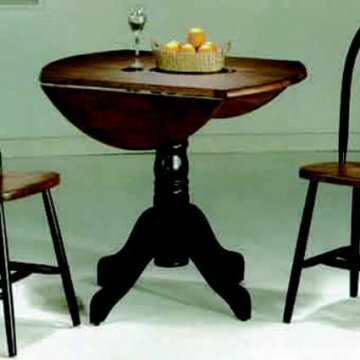 The table is lifted on thick, square tapered legs for a simplistic styling. A faux leather upholstered seat on the chairs and bench offer comfort and a pretty complement to the woodwork with dark brown upholstery. 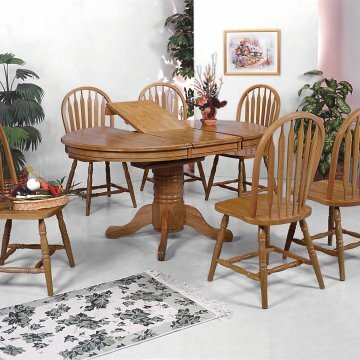 Lifted on square tapered legs with support stretchers and decorated with ladder-back seat backs, the chairs offer single seating options around the table. The upholstered bench adds a convenient alternative to seat multiple people along one end of the table.